21 oz. of Fancy Mixed Nuts in a Gourmet Gift Canister. 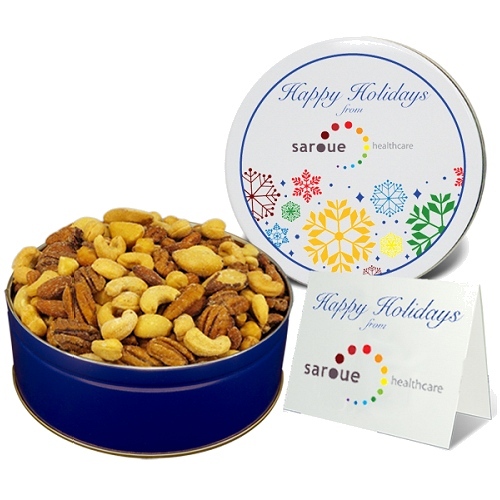 This delicious mix includes cashews, pecans, walnuts, hazelnuts, and almonds.